In 2013 the Queensland Parliament passed the G20 Act which was based on the false premise that there would be civil unrest and violence during the G20 leaders summit held in Brisbane on 16-17 November 2014. “Some of the previous G20 meetings attracted significant civil unrest, which resulted in property damage, riots and large-scale arrests. It seems democratic rights are fragile in Queensland. On 25th July 2015 a police officer-in-charge attempted to arbitrarily take away the right to march of a group of people complaining about violence against women in a campaign called the Wicked Pickets*. The police sergeant did so for the spurious reason that there were insufficient people to march and that police did not have sufficient resources to regulate traffic from Reddacliff Place (Brisbane Square) to parliament house. The people concerned marched anyway putting up with abuse and attempts by police to stop the march. Complaints to police minister and senior police about behaviour of police on the day predictably fell on deaf ears. WBT includes below some comments by Greg Brown about the police service review of peaceful assembly under the G20 Act. There was a march from Emma Miller Place (Roma Street Forum) to Musgrave Park on 17 November 2014 on the last day of the G20 protests. No permit was requested and none given. The march continued regardless. It was a political march conducted by the Brisbane Aboriginal Sovereign Embassy in support of the political struggle for sovereignty and land rights. The assembly and subsequent march was ignored by media and parliament. At Emma Miller Place the riot squad was called out but not used. The racist Australian flag was burnt symbolically, as were effigies of aboriginal leaders Pearson and Langton. Political assembly should not be subject to police permission. It should not be subject to legalistic determinations by judges in ivory towers nor should there be interference from parliament that disenfranchises a sizeable minority of the population onetime referred to an the extra-parliamentary opposition (movements of aboriginal people, workers, women and environmentalists). 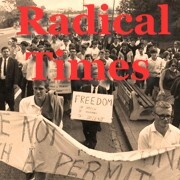 The democratic rights movement in Queensland had an essential demand that no permits to assemble or march be sought, notification of police may be necessary to assist in the regulation of traffic but that is all. This is a political question. The video If you Don’t Fight You Lose depicts the determined marches without permit that attempted to bring down the right-wing Queensland Government led by Bjelke-Petersen in the 1970s. 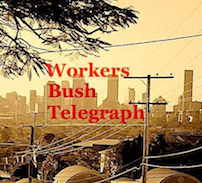 WBT includes here a report by Greg Brown from the Cloudland Collective about the Qld Police Service report reviewing implementation of the G20 Act that was tabled in Parliament on 13 Nov 2015. It comes as no surprise that current political organisation is ineffective and without direction. Whereas the peace movement lost its way by pursuing respectability and endorsement of the churches, the G20 protests became sidetracked by media and police emphasis on ‘peaceful assembly.’ No clear focus of an alternative to capitalism was presented at any of the G20 protests. When has there been anything else in the Qld democratic rights movement but peaceful marches? It is interesting to note the very subdued tone – the Crime & Corruption Commission (CCC) questioned police implementation of the Act and at some level took the QPS to task. This contrasts with the tone set by the media in November 2014. The Qld Police Service report reviewing implementation of the G20 Act was tabled in Parliament on 13 Nov 2015. The link to the report is in the text below. Various submissions to both the CCC and the Legal Affairs and Community Safety Committee reflect the need to strengthen protections for the right to peaceful assembly in Queensland. ATSILS, Caxton Legal Service, Queensland Law Society and Brisbane Community Action Network provided submissions to the Crime and Corruption Commission, who provided a report to the Police Commissioner. require police to engage with individuals prior to placing them on the prohibited persons list. The QPS reply included comment that the exclusion of the Peaceful Assembly Act was required to avoid potential conflict with Vienna Convention on Diplomatic Immunity. Their view in effect was that the protection of “internationally protected persons” required restrictions of the right to protest. BrisCAN argued that the restrictions imposed were unreasonable and disproportionate. The QPS made no comment in relation to the CCC recommendation about the ambiguity in the Act in relation to terms such as “disrupt” and “disruption”. The ambiguity in such terms created uncertainty about the scope of both police powers and protestors’ rights. Police negotiators repeatedly refused in the lead up to G20 to discuss any clarification such terms. BrisCAN argued at the time that this maximised police discretion at the expense of civil liberties. The QPS replied in relation to the CCC recommendation that the statute should have provided guidance on what constitutes “lawful excuse” this issue was “a training issue not a legislative issue”. The term related to possession of “prohibited items” which included many objects typically considered necessary to make protests effective eg. megaphones, large banners, the Anonymous face masks and theatrical props. The QPS claimed in pre-event discussions that “lawful excuse” did not include intended use of such items in peaceful assemblies. The ban on the wearing of the Anonymous face masks was partially relaxed just prior to the event following comments by former Solicitor General Walter Sofronoff that wearing the Anonymous mask was a political statement and would qualify as a “lawful excuse” under the Act. In the one case proceeding to trial, where the defendant had been charged with the wearing of an Anonymous face mask, the QPS dropped the charge, and the issue was never subject to judicial consideration. The QPS interpretation of the term “lawful excuse” and their refusal to discuss this matter with protest groups resulted in a significant curtailment of the right to peaceful assembly. Megaphones and large banners for example were not used on march routes. The QPS report rejected the need for prior engagement with people before invoking prohibited person powers. The use of these powers, characterised by BrisCAN as pre-crime powers, resulted in the prohibition and arrest of a prominent local peace activist. The QPS report and various submissions to both the CCC and the Legal Affairs and Community Safety Committee reflect the need to strengthen protections for the right to peaceful assembly in Queensland. You can find it in the section Queensland by clicking on thumbnail 14D……..
Ralph Summy was a founding editor of Social Alternatives in 1977, and I have some other interesting articles he wrote that I will post later…….